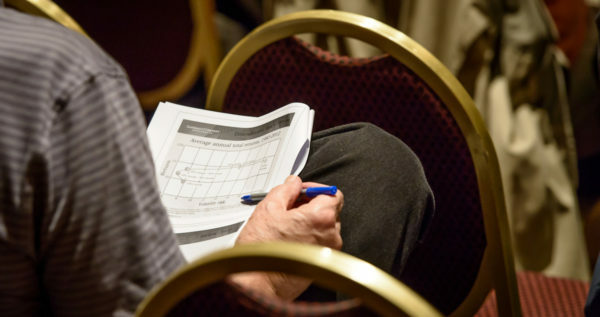 See how much you were paying attention to Bob Landaas at the latest investment outlook seminar for clients. Or, if you weren’t there, learn a little about what you missed. View the seminar video by clicking here. 1. Bob noted that the Federal Reserve is likely halfway through raising short-term interest rates. Which one of these DOES NOT follow? Reach for higher yield with lower-quality bonds. Expect four or five more quarter-point increases. The Fed’s current concern is more about normalizing rates than tamping down inflation. 2. In the 2017 seminar, Bob spoke of synchronized global growth as a bright spot for the U.S. economy. Which one of these WAS NOT among his 2018 updates on the topic? A stronger U.S. dollar has created problems in emerging markets. The U.S. dollar will continue to strengthen as the Federal Reserve raises interest rates. Except for China, global economies remain synchronized, thanks to the U.S. dollar. Demand for many commodities priced in U.S. dollars has declined. 3. In his updates on U.S. stocks, which of the following WAS NOT a point that Bob explained? Valuations have compressed because of earnings growth. Revenue growth is contributing more to earnings. 4. Which one of the following IS NOT a reason to believe that the longest bull market in history can continue? Data suggest that American consumers are both spending more and saving more. At least for now, inflation is a non-event. Corporate profits are strong and have positive forecasts at least through 2020. 5. Despite signs for continued economic expansion, Bob advised clients to start preparing for the next downturn. Which of these IS NOT a reason to be cautious? Economists expect the boost from tax cuts to start fading between 2020 and 2022. Global economic growth has been slowing. Corporate debt has been rising, and higher interest rates will pressure companies that have borrowed a lot. Inflation already is high, which could force interest rates much higher. 6. In his 43 years advising investors, Bob never before saw growth stocks outperform value stocks in a 30-year comparison. Which of these DOES NOT follow? Growth stocks tend to hold up well in market sell-offs. The performance of value and growth stocks neared a record gap through the first half of 2018. Just four large-cap growth stocks that have accounted for about 40% of U.S. stock market gains so far in 2018. Investors can feel frustrated because value has been out of favor, but you never know when the tide will turn. 7. Which is Bob’s preferred price-earnings ratio to use when valuing the stock market? 8. Why did Bob share this chart on bear markets? To show there is no discernible pattern for stock sell-offs. To suggest keeping 40% of a retirement portfolio in relatively safe investments. To remind everyone that stocks sell off occasionally. 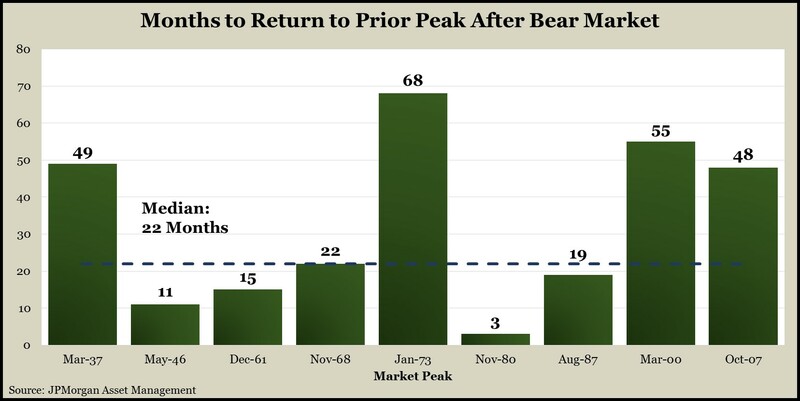 To suggest, based on the last two sell-offs, that bear markets are getting shorter. 9. Bob suggested several considerations investors should remember to keep their portfolios balanced. Which one WAS NOT on his list? As long as profit margins are high, increase your portfolio’s share of stocks. U.S. stocks are less volatile than emerging markets. Large-cap stocks are less risky than small-caps. Bear markets can provide opportunities to find bargains. 10. 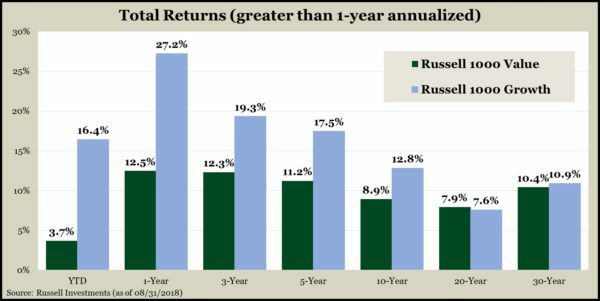 Which equity market has experienced the best performance over the last nine years?